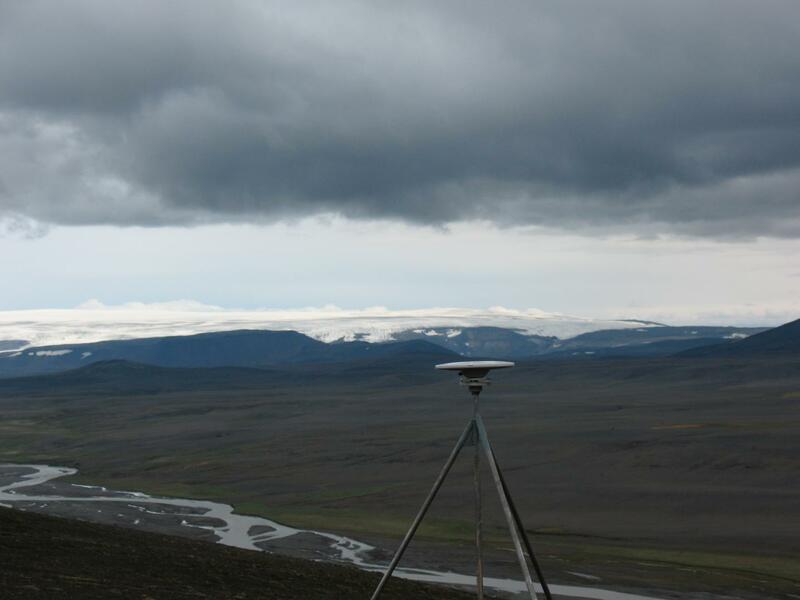 In a forthcoming study in the journal Geophysical Research Letters, geologists from the University of Arizona report that as global warming diminishes glaciers in Iceland, the ground beneath is rising upward at a surprising rate. It is known that as ice caps melt and get lighter, the Earth beneath them rebounds. But scientists didn't know if the left occurring in Iceland was due to thousands of years of deglaciation or modern ice loss. To find out, the research team fastened 62 GPS satellite receivers to rocks throughout the country to track any changes in their position. The sensors can register movements as small as one millimeter per year. Over the past two decades, the receivers have detected much more shifting than that. In some parts of the country, the rock moved as much as 1.4 inches a year. The researchers have linked the fast rise to glacial melt due to warming that began about 30 years ago. "Our research makes the connection between recent accelerated uplift and the accelerated melting of the Icelandic ice caps," said study author Kathleen Compton, from the University of Arizona, in a statement. They determined that in order for the rate of rebound to increase so dramatically, the rate of ice loss would also have to be increasing. And the beginning of rising temperatures around 1980 lined up closely with the melting and the start of the uplift. "Iceland is the first place we can say accelerated uplift means accelerated ice mass loss," said co-author Richard Bennett, a UA associate professor of geosciences. "What we're observing is a climatically induced change in the Earth's surface." Glacial rebound is associated with seismic activity, and some scientists wonder if the trend could lead to an increase in the frequency of volcanic eruptions, such as the eruption of Eyjafjallajökull in 2010. Bennett said there is geological evidence that during past deglaciation roughly 12,000 years ago, volcanic activity in some regions of Iceland increased thirtyfold.